Congratulations are in order to Katrina Weidman and Nick Groff on a quite successful premiere of their new show, "Paranormal Lockdown." Not only did it deliver suspense to 816,000 fans, it also is being lauded as Destination America's highest-rated series premiere...ever! A detailed press release was just issued by the network and we have it below. Check out the second episode of their new series this Friday, March 11 at 10 p.m. ET. 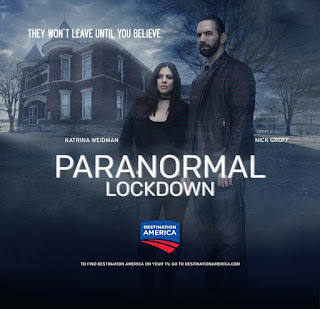 In PARANORMAL LOCKDOWN, Nick Groff and Katrina Weidman push the limits of paranormal investigations by living in known haunted locations for an unprecedented 72 hours. Their belief that the longer they stay in the locations the more spirits will be willing to communicate with them is a strategy that has led them to capture groundbreaking and chilling evidence of the supernatural. In the premiere episode, they captured terrifying footage of a slithering entity that manifested into a figure, and future episodes have them being attacked, capturing distinct intelligent spirit voices, and unexplainable visual anomalies that are exposing the paranormal community to evidence that has never been discovered. The second episode premiering on Friday, March 11 at 10/9c brings the two to the Anderson Hotel in Lawrenceburg, Kentucky. The spirits of some of the former flophouse residents, whose tragic suicides mirrored their bleak lives, are said to haunt the rooms. 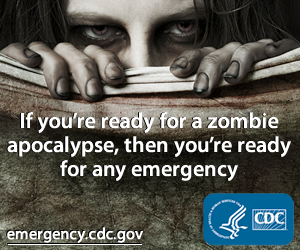 But among these spirits resides a dark entity, unleashing vicious attacks on the living. Over their 72-hour confinement their mental state deteriorates, and they risk physical and psychological harm to cast out the negative spirit…when suddenly something lashes out.